The 2017 Nissan Pathfinder has received numerous changes and improvements this year, each of which are designed to make sure Nissan’s midsize SUV remains competitive in a growing and crowded segment. 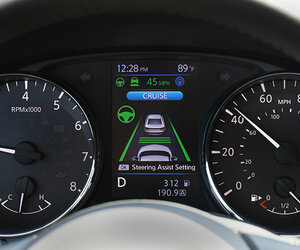 Among the Pathfinder’s improvements we note a new infotainment system, a redesigned exterior, a more powerful engine and more features available in the six versions of the 2017 Pathfinder. These additions make the Pathfinder an even more noteworthy option in the midsize SUV segment. This is a vehicle that will appeal to buyers looking for a spacious SUV that is comfortable and refined out on the road, while also offering plenty of interior and cargo space. There are six total versions of the 2017 Nissan Pathfinder to choose from, so you also know you will find a model that fits your specific needs. There are six total versions of the 2017 Nissan Pathfinder, starting with the entry-level S V6 which is offered with all-wheel or front-wheel drive. Both versions EZ Flex seating for improved versatility, tri-zone automatic temperature control and 18-inch wheels. Move up to the SV V6 and you get heated front seats, Nissan’s intelligent key system and roof rails to go along with a heated steering wheel. The SL V6 model adds a remote engine start system, leather seats and a motion activated power tailgate. 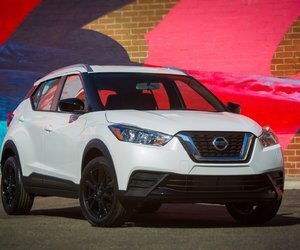 Nissan also introduces the Midnight Edition Pathfinder to its lineup this year which features 20-inch black wheels, a Bose premium audio system, a dual panoramic sunroof and black rear spoiler. Finally, the top-of-the-line Platinum V6 model features climate-controlled front seats, dual 8-inch headrest DVD entertainment system, and 20-inch aluminum wheels. Under the 2017 Nissan Pathfinder’s more sculpted hood, buyers get a new 3.5-liter V6 that now produces 284 horsepower and 259 lb.-ft. of torque. That’s 24 horsepower better than the 2016 version of the Pathfinder. Power is sent to all four wheels in most versions with the exception of the entry-level model which starts at $32,498. All 2017 Pathfinder versions get an XTronic CVT continuously variable automatic transmission and towing capacity can reach 6,000 lbs. Behind the Pathfinder’s third row, there is 453 liters of cargo space. If you do not need to sit more than five passengers, you can lower the rear seat and get 1,201 liters of total cargo space. To learn more about the 2017 Nissan Pathfinder, contact us today at Stadium Nissan!